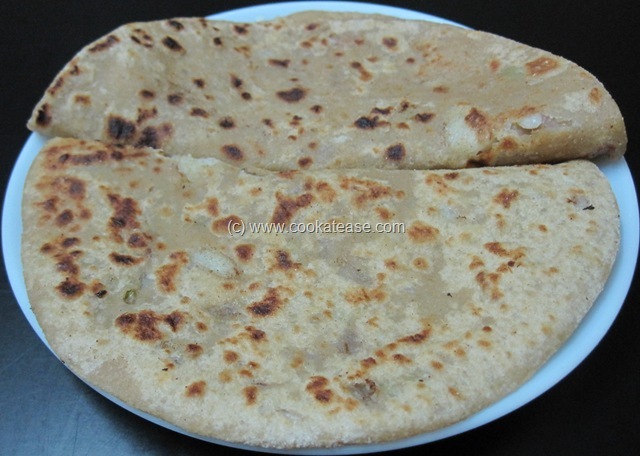 Onion paratha is delicious with onion flavor. 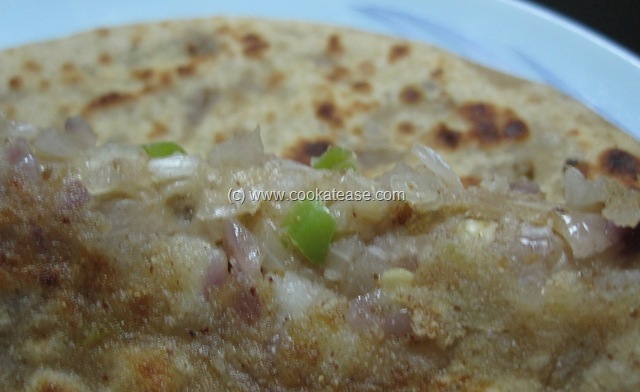 Like onion uthappam, stuffed parathas can be made with onion and spices. 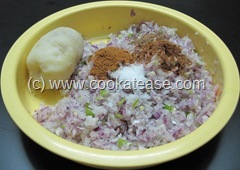 I mix cumin powder, garam masala powder and dry mango powder in the finely chopped onion for stuffing. I also use boiled potato to bind onion. 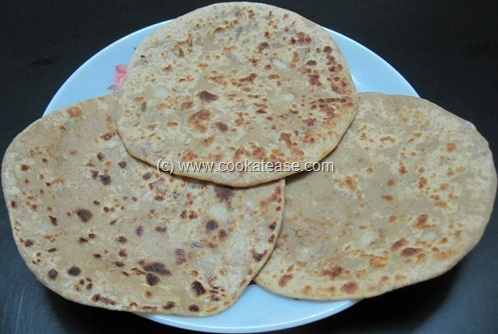 My children love this onion flavored parathas. 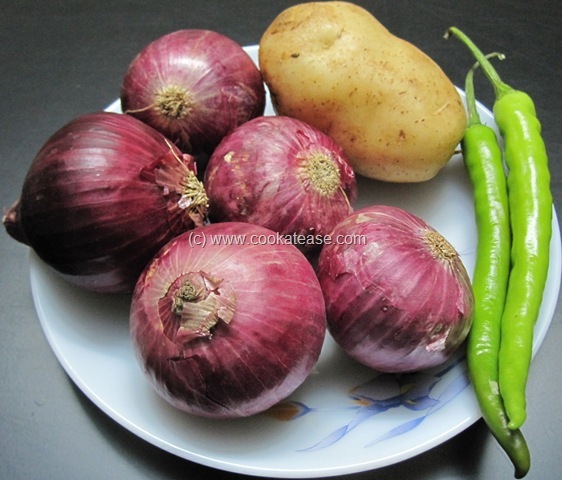 Onion is known as Pyaz in Hindi and as Vengayam in Tamil. Dough for paratha: Knead the flour with enough water; apply few drops of oil on the surface and keep aside. Stuffing for paratha: Finely chop onion, green chilli (I did it in food processor); boil potato; add dry masalas, salt and boiled potato; mix them well; now stuffing is ready. 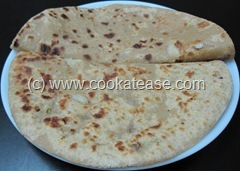 Stuffing of paratha: Now divide the dough into small parts; take one and shape like a cup; fill the stuffing, close the edges; roll and pat it gently in your palm. Sprinkle some dry flour on the rolling board and roll them to a bigger disc. Put it on a hot skillet, cook both sides; apply light oil on the surface. 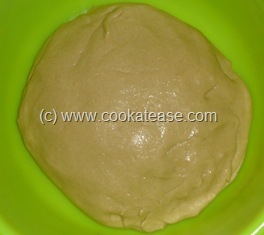 Repeat the process for remaining dough also. Serve hot with raitha or chutney. 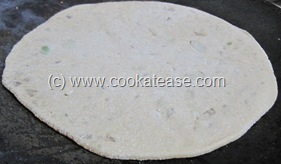 Here is a partly peeled paratha to show the stuffing inside. 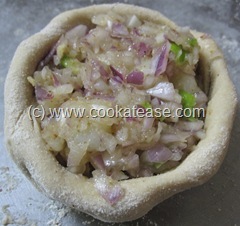 For 5 to 6 onions, I use one potato for binding. 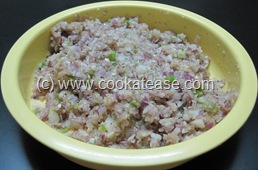 Finely chopped spring onion also can be used for stuffing. This post is part of the event “Weekend Wokking # 22 – Onion” hosted by Kits Chow and created by Wandering Chopsticks. 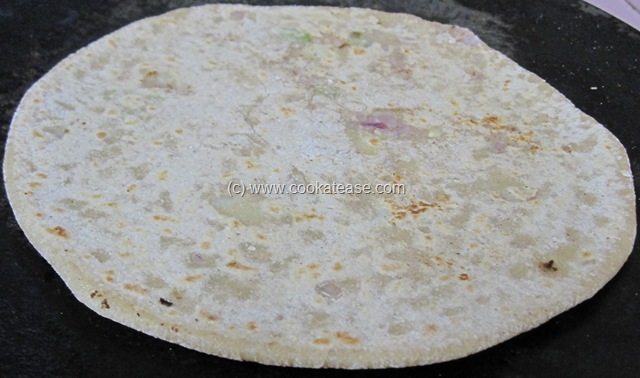 Onoin paratha looks so delicious and intresting!! 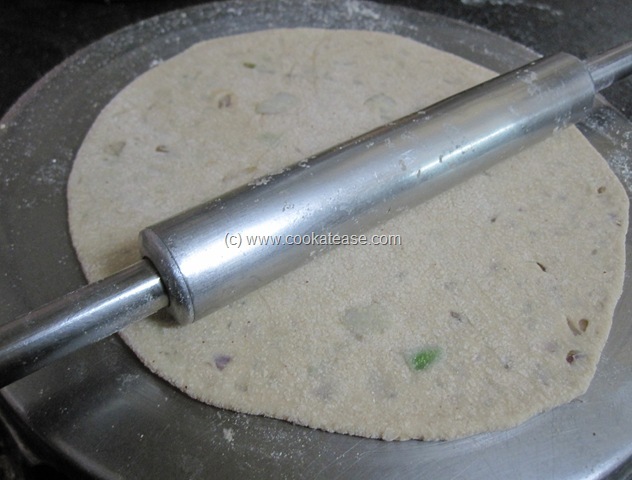 !never made it…tempting!! 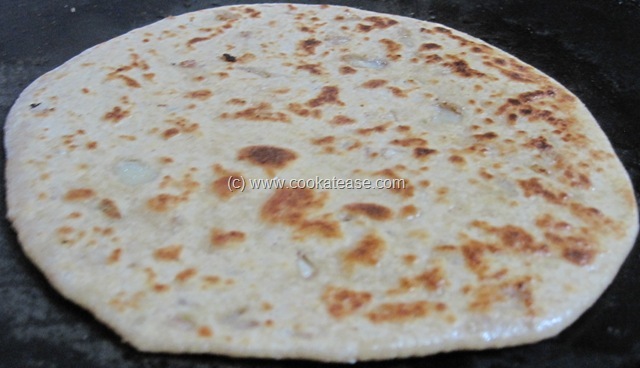 onion paratha looks so good and tempting..I dont think we need to have any dips or anything with such a delicious paratha..
onion parattas look perfect , bookmarking this one, sounds good with all basic ingredients!!! and I have always loved your clear detailed procedures, thank you for the recipe !!! Yummm!!! clicks makes me hungry, sounds really fantastic!!! Your onion bread looks delicious. 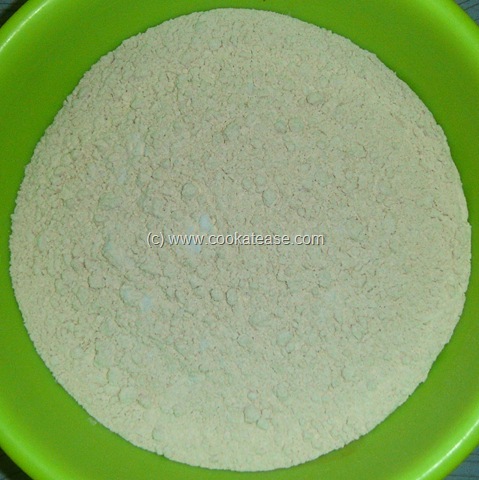 I’ll have to get hold of some dry mango powder so I can make it. Thanks for participating in Weekend Wokking. I love all indian bread, I think I will try this onion paratha soon, thank you! 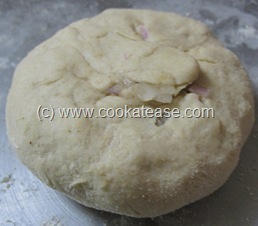 I love the very simple procedure u describe for any recipe.